More often than not, when the “good news” breaks out, he is the one who is extremely happy yet doesn’t show his excitement. Probably the sense of increasing responsibility dawns upon him. He might not be physically carrying the baby like the mother, but he carries him in his heart and mind ever since he learns about the arrival of his little one. His care towards his companion – be it making food to satisfy her cravings, indulging in frequent short outings or tackling her mood swings – is fair enough to understand that he’s ready to assume the new role as a father. As his bundle of joy arrives, his excitement gets doubled. It is said that when a father holds his infant for the first time, the newborn feels secure in his strong arms, while the father promises himself to take care of this treasure in the best possible manner. From measuring his little hands with his own, figuring out whether the little one looks like him or his mother, to loading his nursery with abundant toys, he has already made plans to go cycling, play cricket and football with him, in his mind. A father is the one who works religiously to provide the best of utilities to his children, without giving a thought to his own needs. He is the one, who wants to catch the child before he falls, but instead picks him up, brushes him off and lets him try again. He is the one who lets the child find his own way while making mistakes, even though his heart breaks in silence when his kid gets hurt. He is the one who holds his kids when they cry, scolds them when they break the rules, feels proud when they succeed and keeps faith in his children even when they fail. If a mother is the nurturer, a father is the provider. Though the mother gets all the appreciation for her role, the father is the unsung hero of the family. He is brief, direct and to the point, and his sheer glance is enough to comfort and control the children. He has the ability of keeping calm even in the toughest situations, while maintaining a wise and practical approach towards them. Throughout his life, a father gives the best gift of his unconditional love to his children without boasting or keeping any expectation. 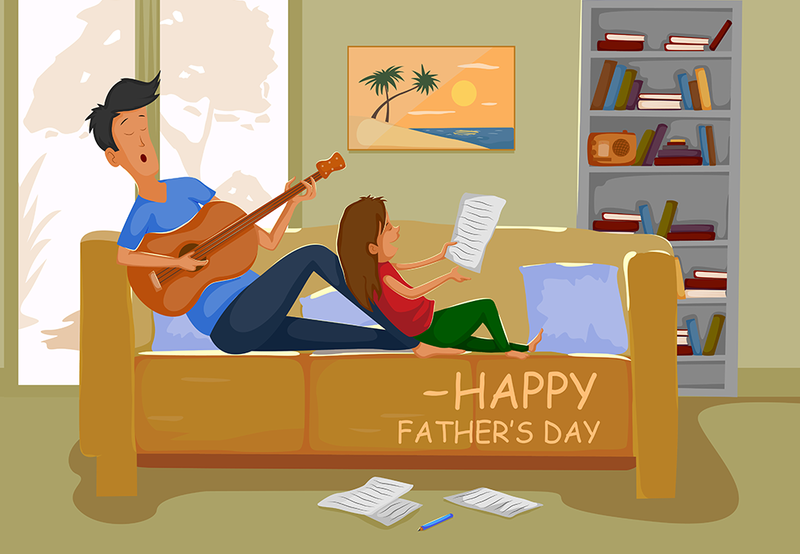 Father’s Day is essentially a celebration for admiring fathers and father figures, and celebrating fatherhood and the influence of fathers in the society. Though the date of celebration could be different in different countries, it is generally celebrated on the third Sunday in the month of June every year. How Can You Celebrate or Make Your Father Feel Special? No special day could do justice to the affection of father towards his children. Yet, these days can bring a spark to the otherwise ‘taken for granted’ relationship between parents and children. So, this Father’s Day, don’t miss your chance to make him feel special. Besides the option of spoiling him with his choicest things, you can indulge in simple pleasures of going on long walks together, spending time watching his favorite movies, cooking his favorite dishes, planning a day out for adventure activities, or any other activity which brings you closer to him. Away from the responsibilities at least for a day, let him enjoy this phase of fatherhood too!